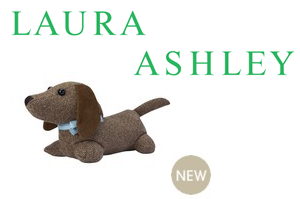 Laura Ashley Door Stops: On Sale & New Release! 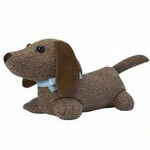 Your kids would love this cute dog door stop to come home with you and guard their bedroom doors. Keep the room protected from any draughts with the matching draught excluder. The door stop is made of 100% polyester (outer and filling) and sand for weight. The dimensions are H20cm x L36cm x W17cm and it is machine washable. With some door stops reduced by more than 50%, don’t miss out on these great bargains to protect your kids rooms with children friendly shaped door stops! 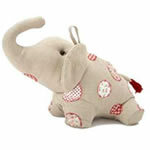 A charming, beautifully crafted fabric doorstop in the shape of an elephant. 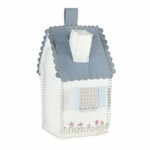 A charming, beautifully crafted fabric doorstop in the shape of a country cottage. 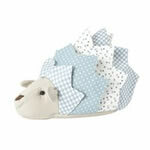 A fun and practical fabric doorstop in a charming hedgehog design. 100% cotton. 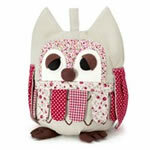 This beautifully crafted fabric doorstop has been designed in the shape of a wise old owl. 100% cotton outer.